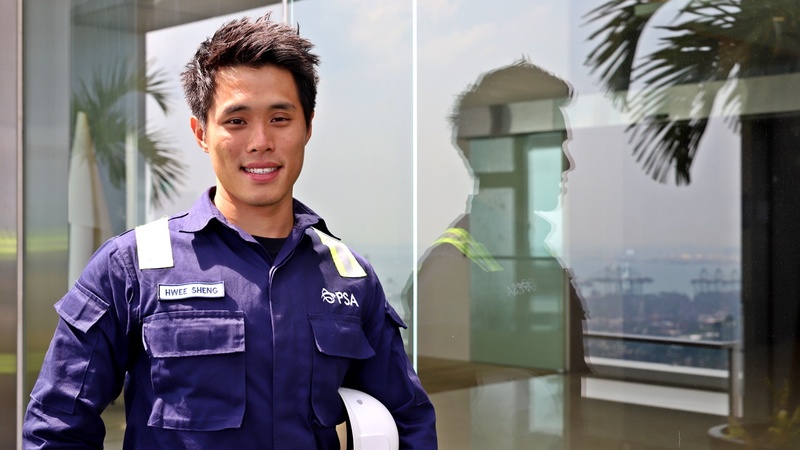 “When I first started servicing lifts as my first job, the residents were very friendly. They would appreciate our work and make us kopi. Now, the moment they see us, they shut their doors,” said Chevalier Senior Lift Technician Zulkifli Yusop, 52, who has been in the industry for the last 26 years. Lifts are something we use every day. But many of us often take it for granted, according to fellow Senior Lift Technician, Patrick Tung, 57. Only when the lifts break down, do we give a second thought about them, and the people who work hard behind the scenes to maintain the lifts for our daily convenience. So just what goes on behind the lift doors? We catch up with Zulkifli and Patrick to hear their story. 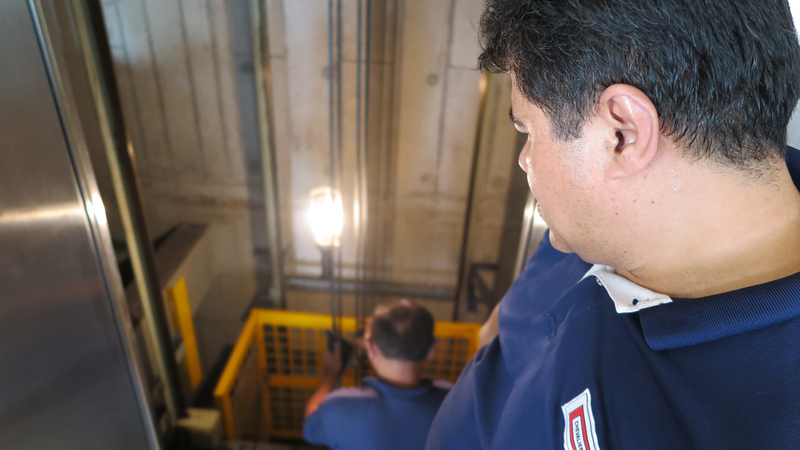 Part of two two-man lift technician teams who maintain 100 lifts for Sembawang Town Council, the duo services an average of six lifts a day. “Some residents will still complain to the town council even though we’ve put up a sign that says the lift is under maintenance,” commented Patrick. He added that this happens even when the town council has put up the lift servicing dates on the void decks’ notice boards in advance. Maintaining lifts is tough work. 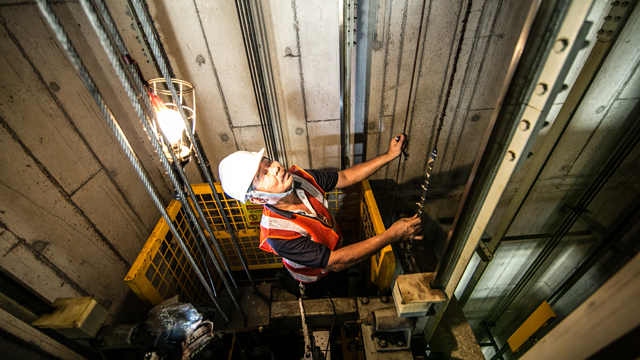 Requiring you to get your hands dirty, physically demanding and to work in tight and stuffy lift shafts, the sector is finding it hard to attract younger workers. But the duo is more than happy to do what they do – evident from their decades-long careers. For Zulkifli, it was also for job security. “There will always be buildings with lifts and our job will always be in demand. Restaurants can close down and chefs can lose their jobs, but for us, the lifts will never close down,” he explained. The salary may also be a deterrence as a fresh entrant with the minimum qualification of an ‘O’ level certificate earns from $1,200 to $1,400. Chevalier’s Singaporean workforce is also getting older as a majority of them are aged 55 and above. Their oldest lift technician is 67 years old. Change has to be made. Thus the union, management and the government have come together to make the technicians’ lives better. Both Patrick and Zulkifli are branch officials with the Metal Industries Workers’ Union (MIWU), which Chevalier is unionised under. 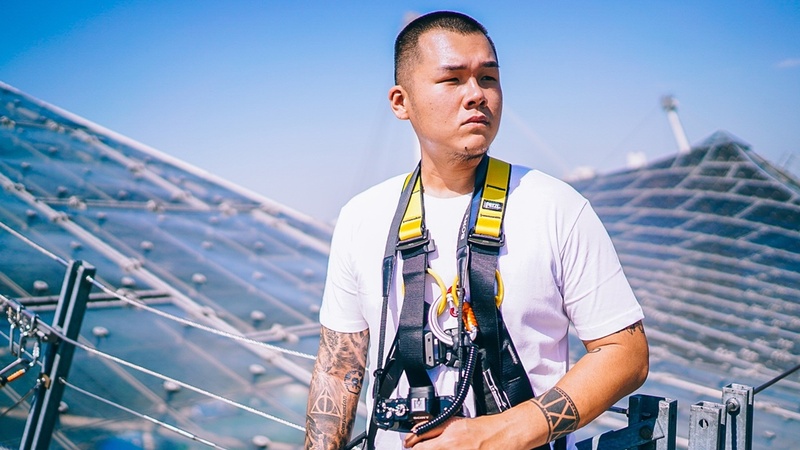 According to Chevalier Assistant Manager Ken Lim, the company has good labour-management relations with MIWU, with both looking after the best interests of workers. Mr Lim added that the union is a good avenue for workers to surface whatever concerns they have. “If the workers don’t feel comfortable coming to the management, they will approach the union or branch committee members. This is a good way for us to know our workers’ sentiments. We appreciate all our workers,” he explained. MIWU is also working hard to tackle the manpower shortage in this industry. MIWU President Toh Hock Poh said that the union is working with NTUC’s e2i (Employment and Employability Institute) and lift companies to explore the possibility of implementing a Place-and-Train programme for the lift industry. Chevalier will also be participating in a job fair this month, which will be organised by e2i. NTUC EPME Supervising Lead Melvin Yong also called on the Government and lift companies in his recent blog post to provide training scholarships and sponsorships, and review and improve their working environment to encourage more locals to join the industry. With the slew of initiatives available and promise of better career progression for people interested in pursuing a career in the lift industry, the only way is up.